Chief Justice says civil rights work remains unfinished; current challenges of income inequality, pretrial reform, and equal access require innovation and a human touch from a more representative judiciary. As the Chief Justice prepares to address the Legislature on the 2019 State of the Judiciary, a look back at some key judicial branch milestones. At its March 15 business meeting, the Judicial Council approved recommendations for updating guidelines for video remote interpreting (VRI) and voted to have its staff coordinate a new VRI program for the judicial branch. The Judicial Council at its January 14–15 business meeting heard from Supreme Court Justice Mariano-Florentino Cuéllar on how California courts have increased access for court users with limited English skills. In 2018, the state judicial branch was instrumental in ushering in major changes to the court system and ensuring equal access to justice for all Californians. From erasing old marijuana convictions to helping courts weather natural disasters, track the new laws that will change California courts in 2019. A hospital in San Bernardino County offers patients access to something no other hospital in the state offers: access to justice. Arrowhead Regional Medical Center (ARMC) in the city of Colton houses the state’s only in-hospital courtroom. 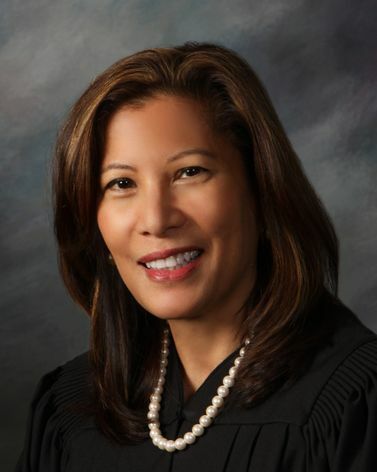 A look back at the highlights of the California Supreme Court's 2017-2018 court year. A Q&A with Rick Feldstein, a 2018 Distinguished Service Award recipient, who modernized the Napa court to withstand two natural disasters. Find out how the judicial branch is recruiting bilingual professionals at schools, cultural festivals, and interpreting events in other industries. Recent report details the increased access to interpreters in civil cases and the additional language services provided for court users inside and outside of the courtroom. JusticeCorps alumni Vanesa Martín is this month's special guest blogger for the Power of Democracy, recalling her experience serving court users in one of LA's busiest self-help centers. The Judicial Council’s task force on language access will hold a public meeting on April 24 in Sacramento to listen to community members and report on efforts to increase language access to the courts for limited English proficient (LEP) court users. Facing growing numbers of civil and family law litigants representing themselves, courts are expanding services offered through “self-help” centers. Since 2002, the judicial branch has overseen the addition of 29 new safe and accessible court facilities around the state, improving access to justice for millions of Californians.